Greetings, earthlings! As promised, I looked into a few other forex pairs to see if the SMA Crossover Pullback mechanical system might also churn out profits. Here’s what I got for GBP/USD, AUD/USD, and EUR/JPY for the month of June. Oh, and if you’re wondering what all these signals are about, make sure you’re able to read up on the SMA Crossover Pullback forex mechanical system rules and its recent results on EUR/USD! For GBP/USD, an upward crossover was seen early in the month, followed by a stochastic pullback and a long entry signal at 1.5296. The 300-pip PT was hit around the middle of the month. Later on, a downward crossover was seen by June 26 but the pullback and short signal didn’t occur until the first week of July. 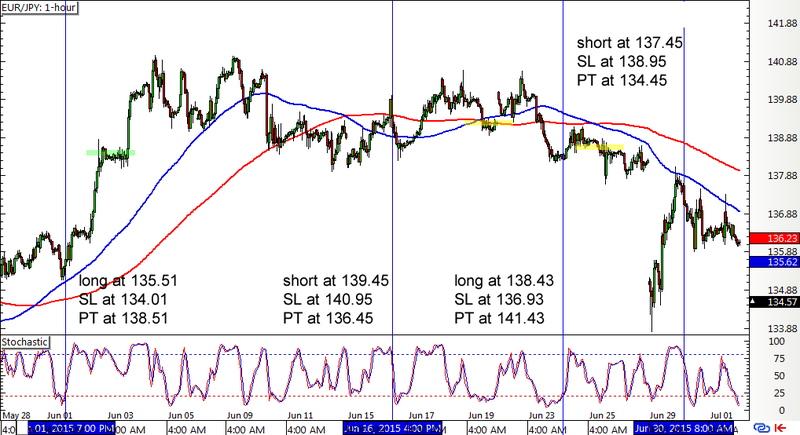 A few more signals were seen on EUR/JPY, with one taking place early in the month and hitting its profit target at 138.51 soon after. Price started to move sideways mid-June, generating a couple of signals that had to be exited early due to new crossovers. Finally, a more convincing downward crossover took place on June 25, followed by a short signal that’s still open. 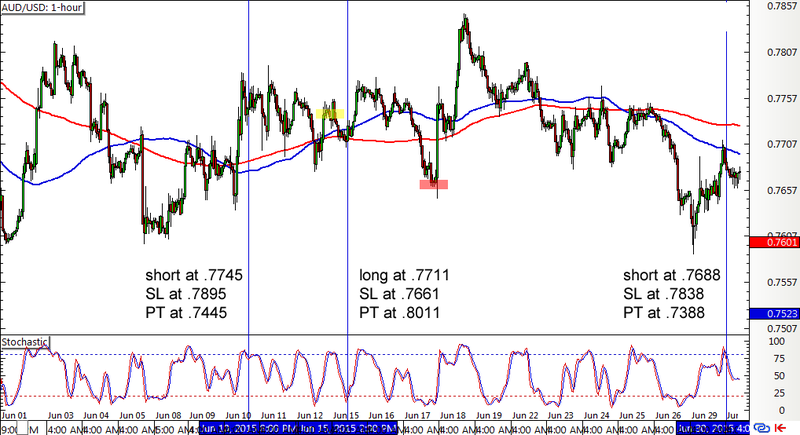 Lastly, looking at the SMA Crossover Pullback mechanical system signals on AUD/USD shows that it also generated a couple of losing setups in June, mostly since the pair was stuck in a range. 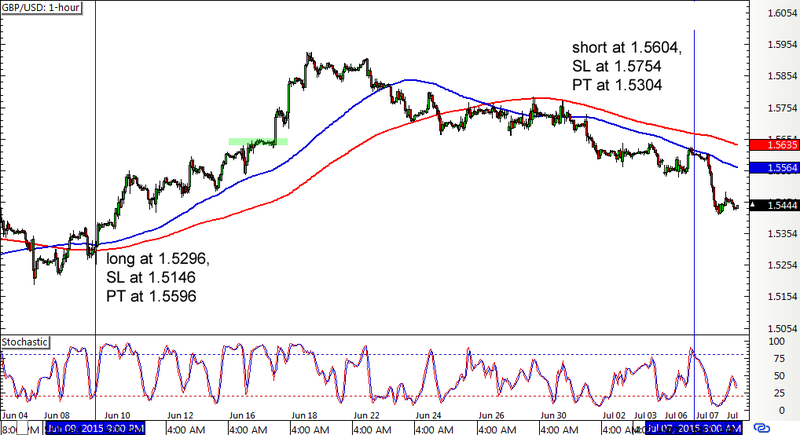 A downward crossover was seen towards the end of the month and the short position entered at .7688 is still open. From these, I’m thinking that GBP/USD and EUR/JPY could work as additional pairs to look at when it comes to forward testing this system. What do you guys think? Should I keep checking more forex pairs out? I’d love to get your suggestions for this one!